← Viva Sherry “Obento Music” is out! Apologies for the lack of updates. Much has happened, so we’re only catching up just now! 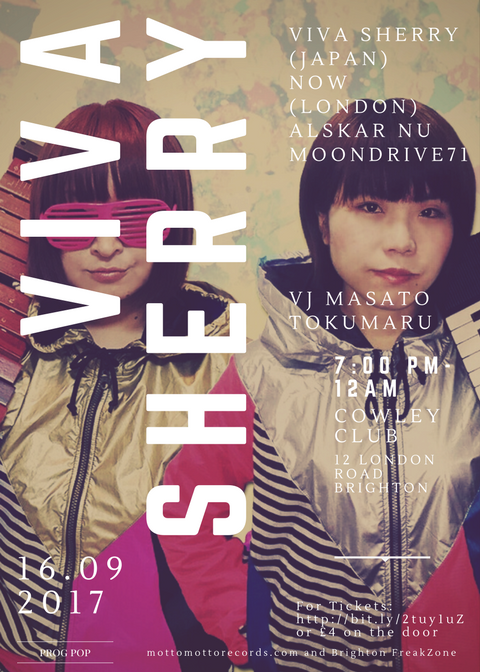 First of all thank you to everyone who came to our two events in Brighton and London to celebrate the release of Viva Sherry’s “Obento Music”. 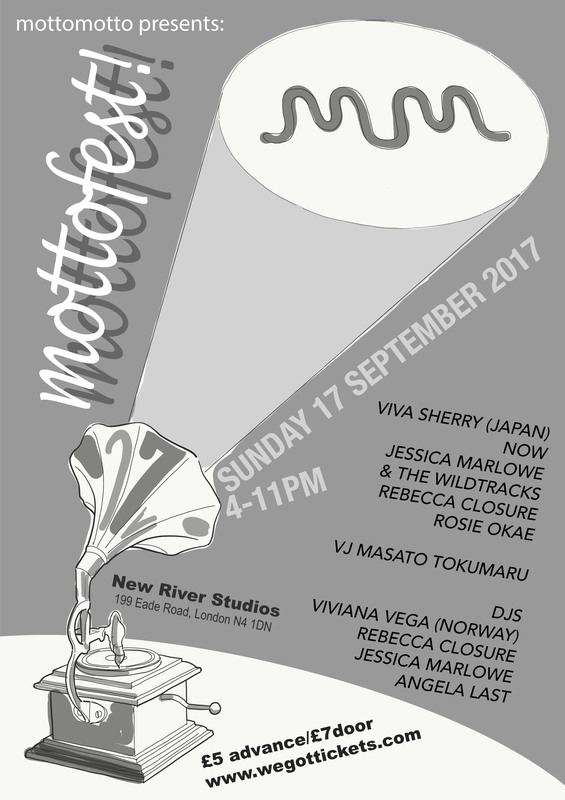 Many thanks also to Maïa Barouh for playing with Viva Sherry, and to all the artists at the Cowley Club and Mottofest – MoonDrive 71, Alkar Nu, Rosie Okae, Jessica Marlowe & The Wildtracks, Rebecca Closure and now – and DJs Lee Mackinnon and George Chrysostomou for rocking the decks. Special thanks to Lydia Jane Morgan for heroic work on the sound front, and to Tristan and Francis for organising the coastal extravaganza. 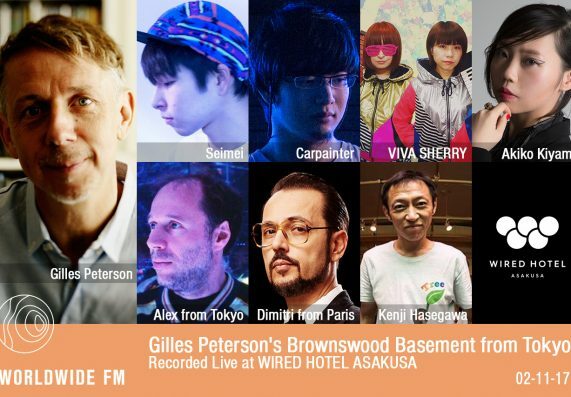 Since then, “Obento Music” has had airplay around the world, and Viva Sherry have hooked up with Gilles Peterson for a joint live gig in Tokyo that was live streamed on Facebook (you can listen back to the show via this link). There have been enquiries about further gigs, so we are hoping to bring Sato, Himeco and VJ Masato Tokumaru back to the UK the very near future. Stay tuned! 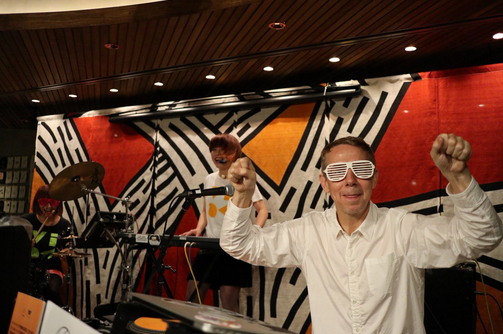 This entry was posted in Uncategorized and tagged BBC6, gilles peterson, viva sherry, worldwide fm. Bookmark the permalink.